As a child I never got the whole pizza movement. I was a boring child who ate boring food. Oh how things have changed! Back in 2006 Molly and I visited the south of Italy for the first time, exploring Sorrento, the Amalfi Coast and Rome. I fell in love instantly not only with Italy itself but also with the delicious pizzas which were loaded with fresh local ingredients. When I got home unless I was visiting the ultimate Italian restaurant in Dublin, pizza once again was underwhelming, processed and tasteless. 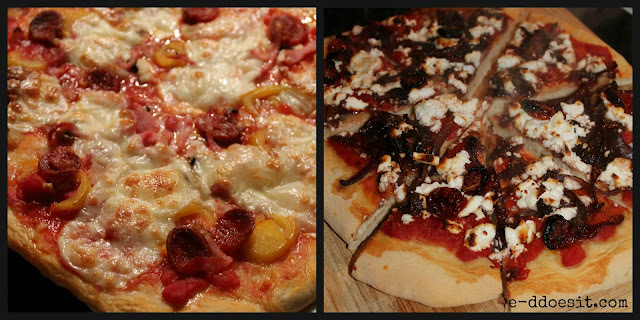 So at the weekend, I thought to myself....why don't I make my own pizza incorporating my favourite flavours and toppings and see how it goes. The result was delicious and everyone at home was delighted at dinner time. I adapted this basic pizza dough from Mary Berry's 'Complete Cookbook' given that I'm a pizza making newbie. 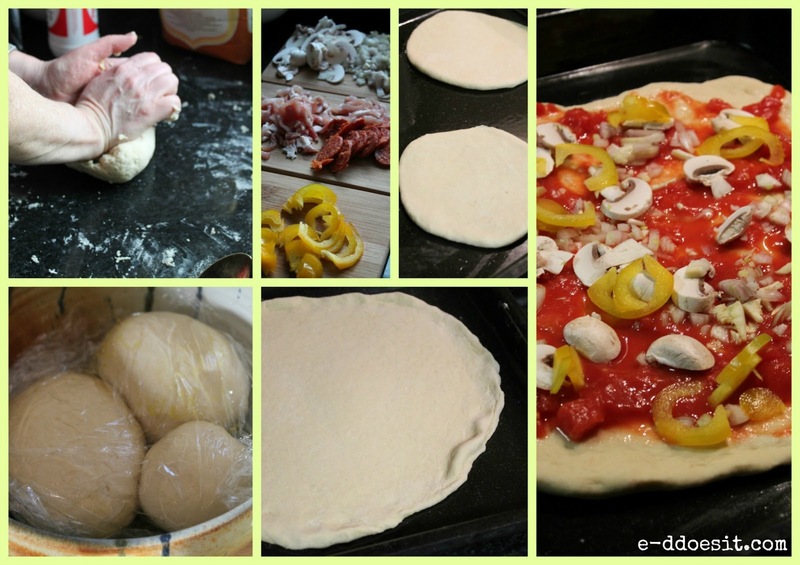 Making your own pizza is very rewarding and you don't end up with any toppings that your not a fan of as you can pick and choose exactly what you like. 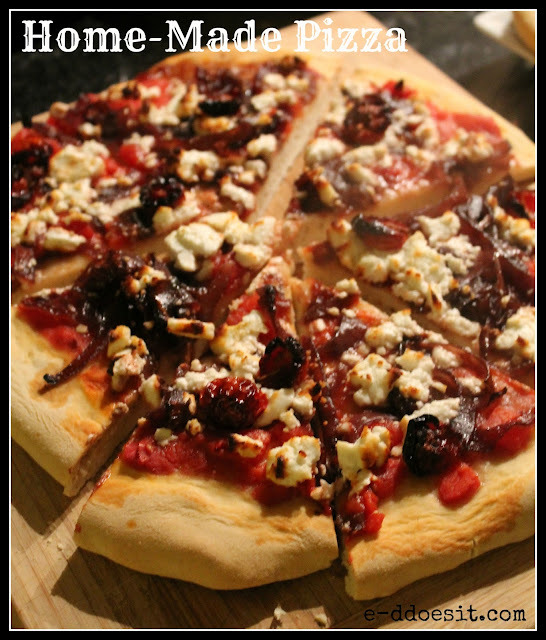 These pizzas are ideal for gatherings at home with friends as you can do all the ground work before your guests arrive, which will leave you to be the hostess with the mostess! mixture together with your hands and manipulate until it forms a smooth dough. surface for 2-3 minutes or until smooth. oven at 200C (fan) for 25 minutes or until golden and crisp. 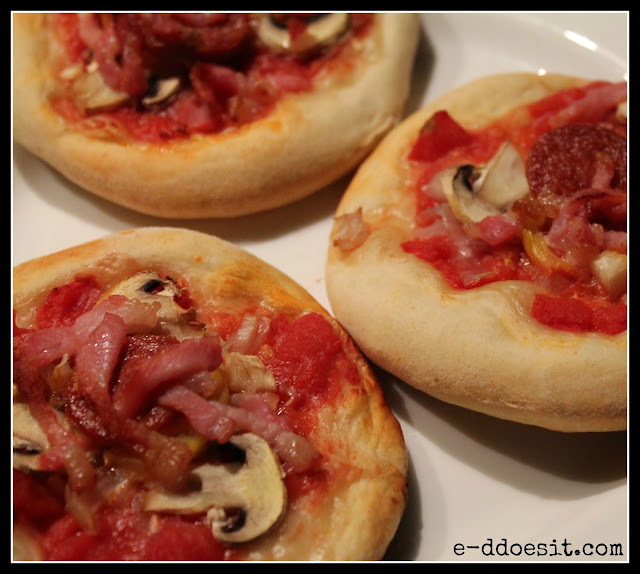 mini pizzas into 7cm rounds and only cook for 12-15 minutes. - The quantity of dough above makes enough for one large pizza, so double it if making two.